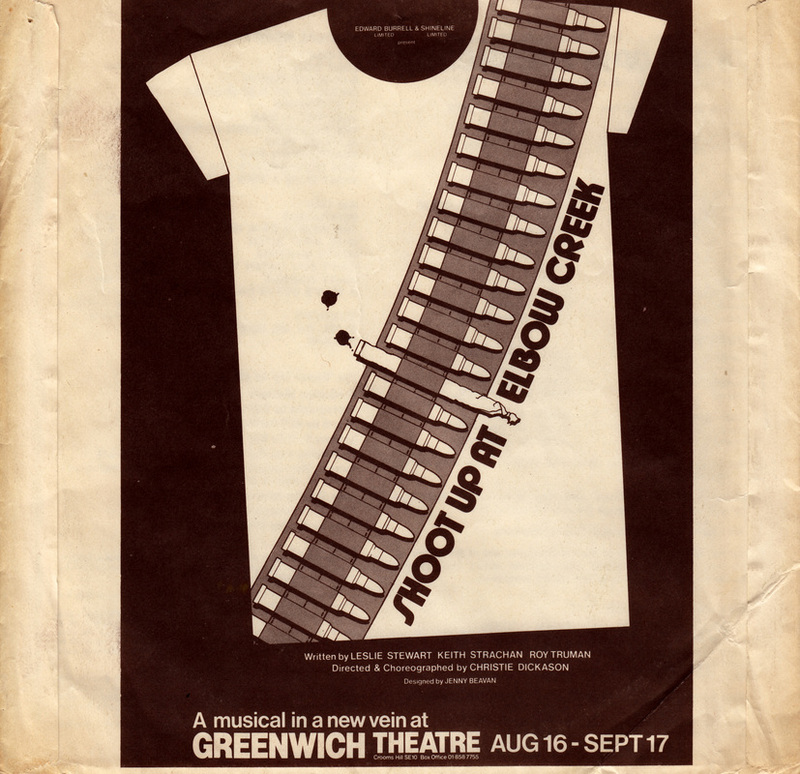 For the production at the Greenwich Theatre directed by Christie Dickason and produced by Edward Burrell the cast recorded a sample of the show which was pressed onto a floppy 7 inch acetate record and sold inside a sleeve as the program for the show. 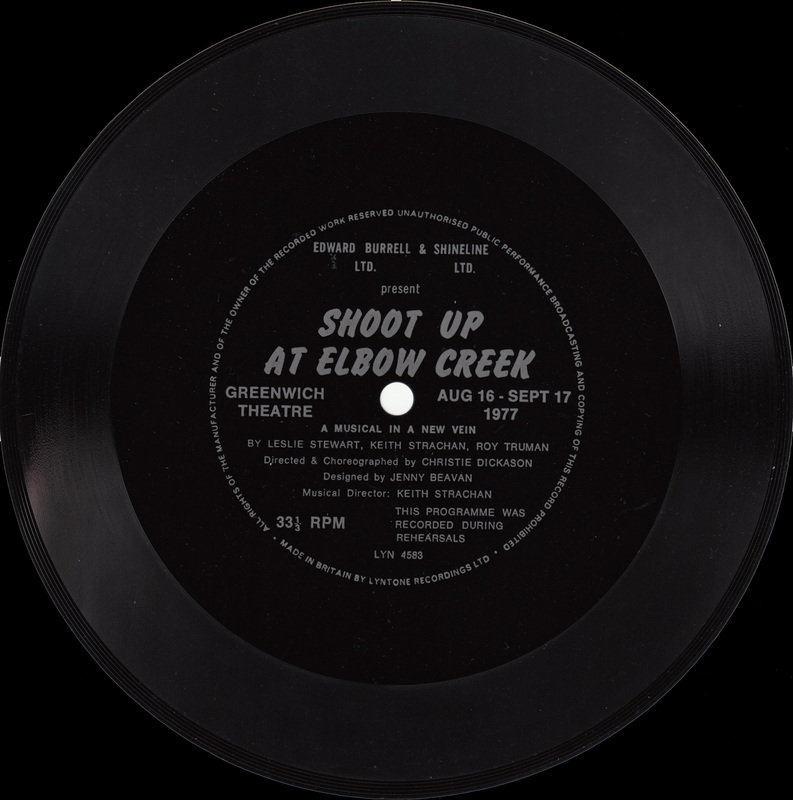 The track below is that sample: two songs A Man's Gotta Do What A Man's Gotta Do and the title song Shoot Up At Elbow Creek. 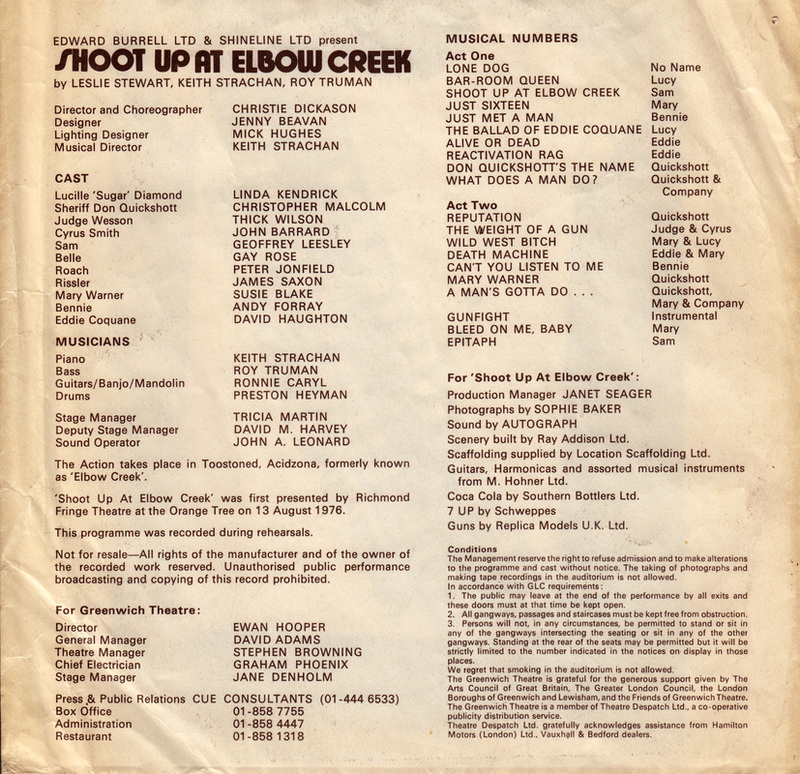 Featuring Chris Malcolm, Thick Wilson, Susie Blake and Geoff Leesley.